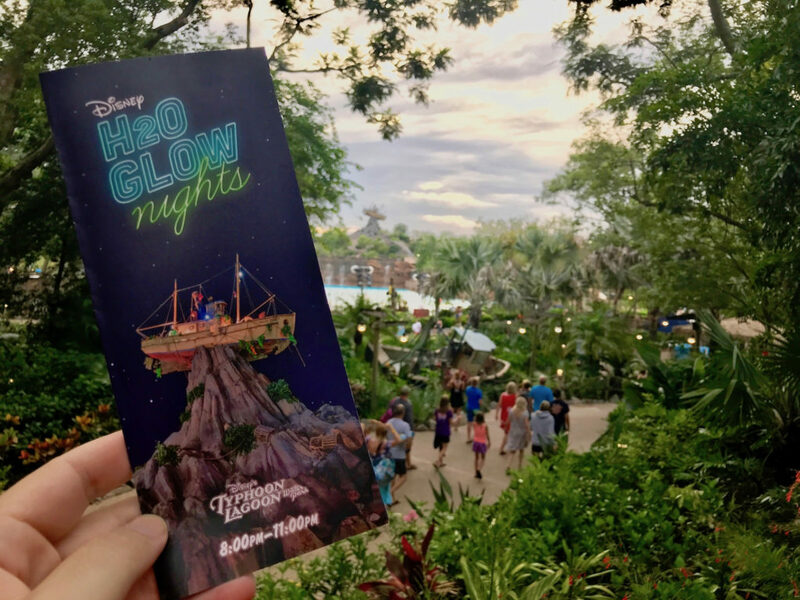 Seeing as the Incredible Summer is now actually in summer, Walt Disney World kicked off a great way to enjoy those warm nights: a private hard ticket event at Typhoon Lagoon. 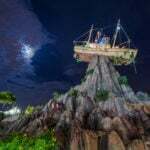 On select nights from now until August 11th, 2018, Typhoon Lagoon transforms, adding a layer of Partysaurus Rex-theming as the entire park comes to life in a whole new light! 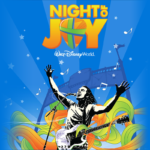 Guest who purchase tickets to this unique event can arrive as early as 7pm, with the event kicking off at 8pm. 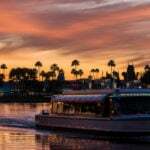 That way they can enjoy a little fun in the sun, but once the sun is done, the party begins! 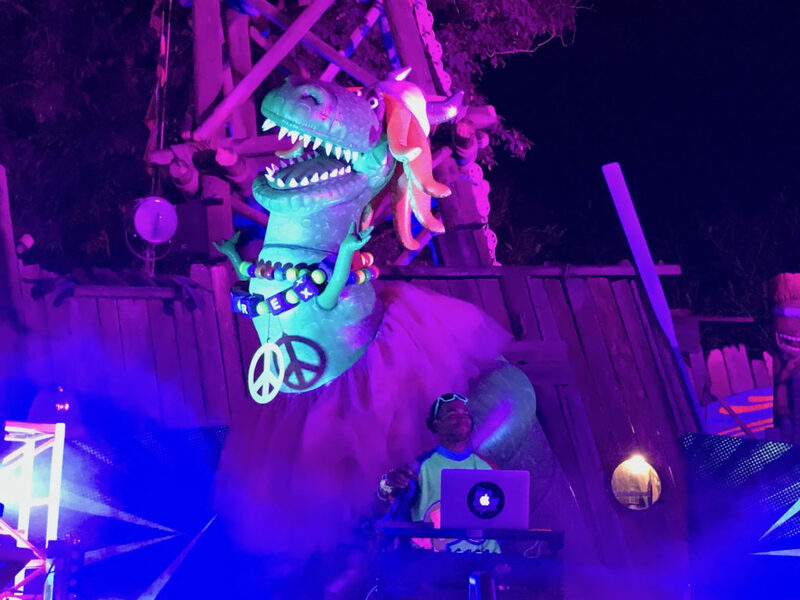 With a live DJ being watched over by the Partysaurus Rex, guests can rock out to some fun music while enjoying all the attractions the park has to offer or even play some games right on the beach. 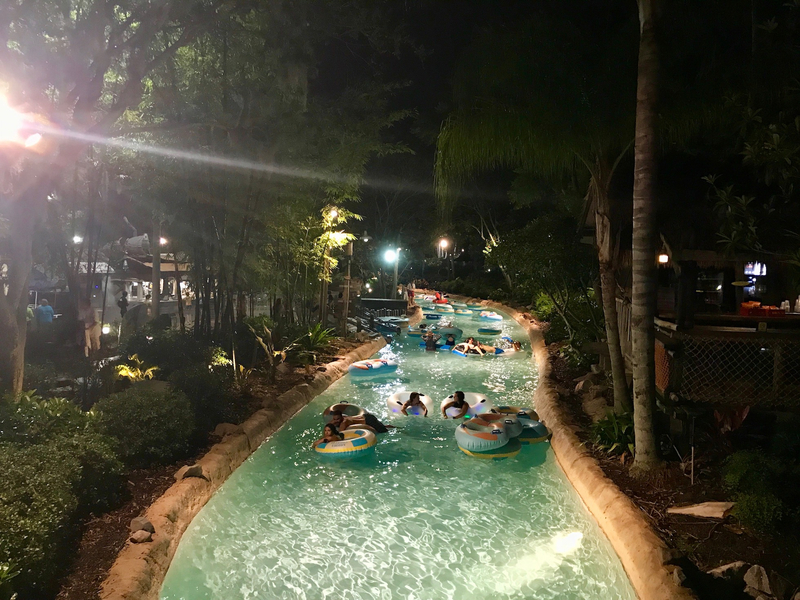 One of the highlights for many guests was floating along Ketchakiddee Creek in some unique, light-up inner tubes while taking in the beautiful night atmosphere. 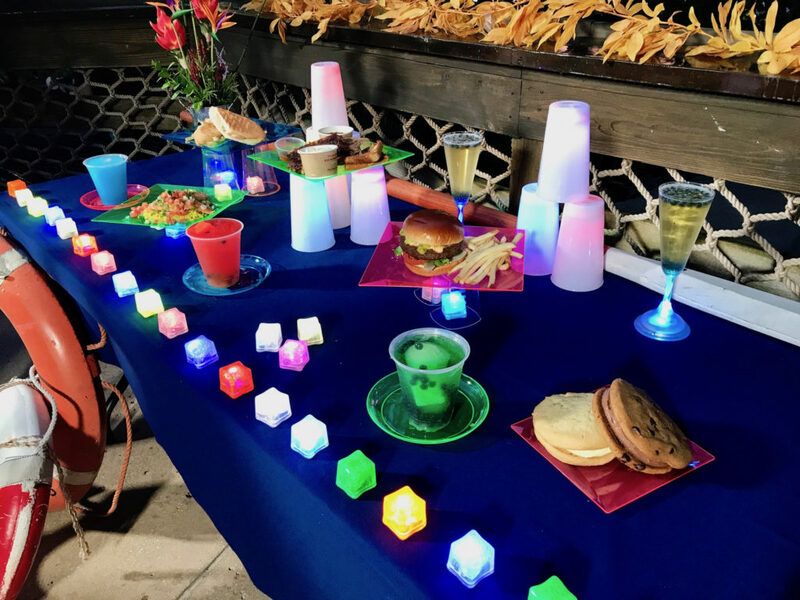 Of course, it wouldn’t be a special event without unique food offerings, in this case ranging from special glow drinks (adult and regular) and ice cream sandwiches to a special Impossible Burger with crispy banana peppers and an amazing chipotle mayonnaise. 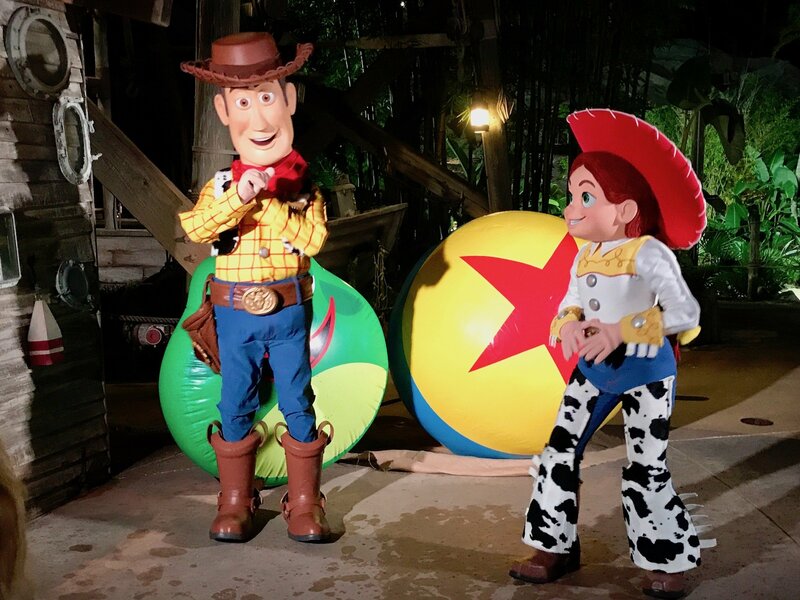 Now we know Rex wouldn’t throw a party without inviting some of his other toy friends along for a special meet and greets in the park. 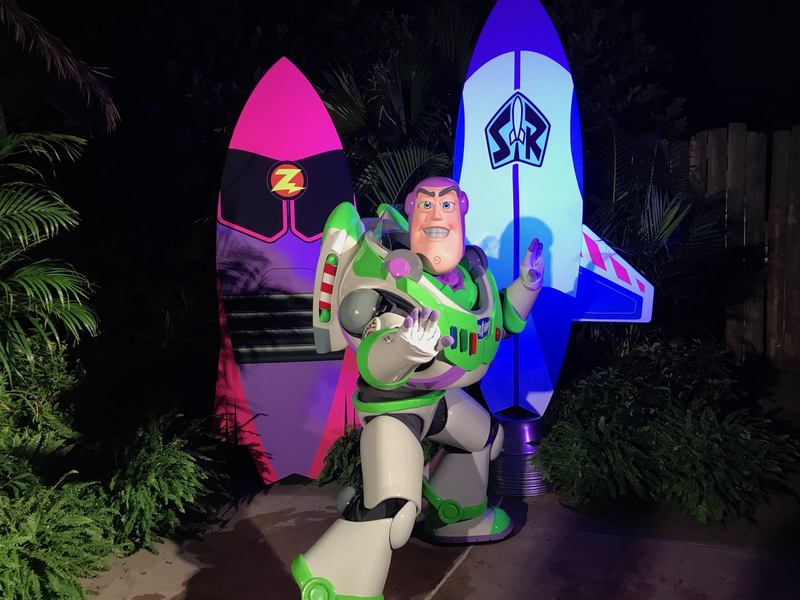 As much fun as the dance party and characters are, by far the best thing about this event was being able to do all the slides with very little, if any, wait. 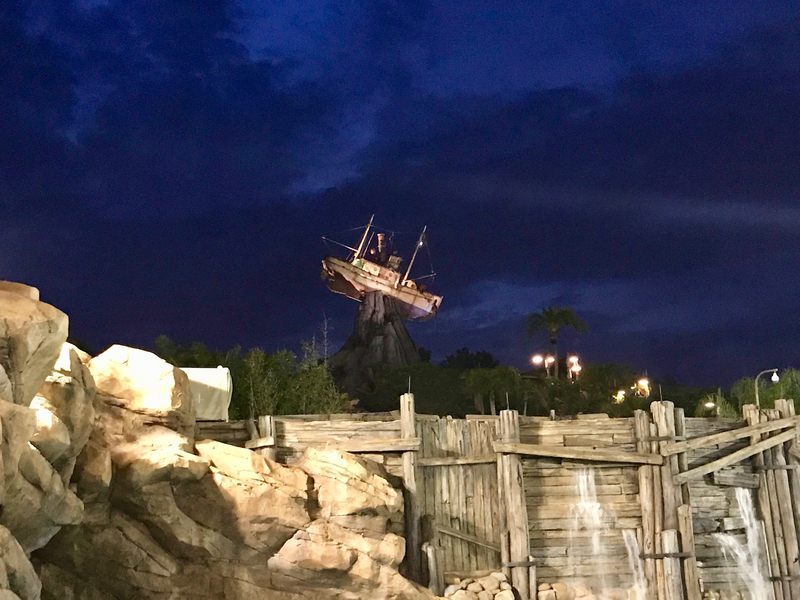 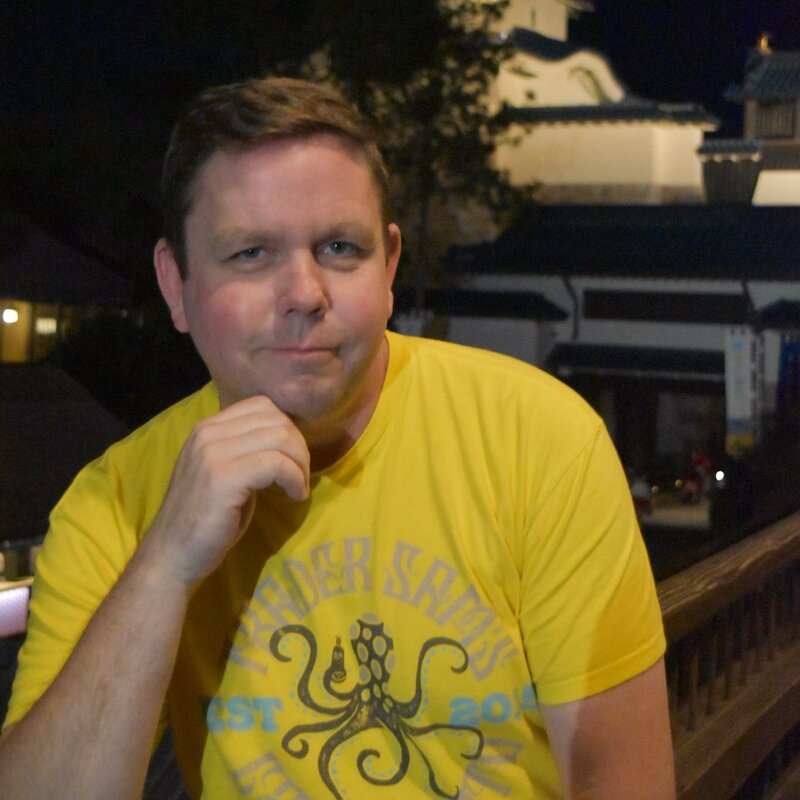 If you have ever been to Florida in the summer, you know that, even when the sun goes down, it is still be sticky and hot. 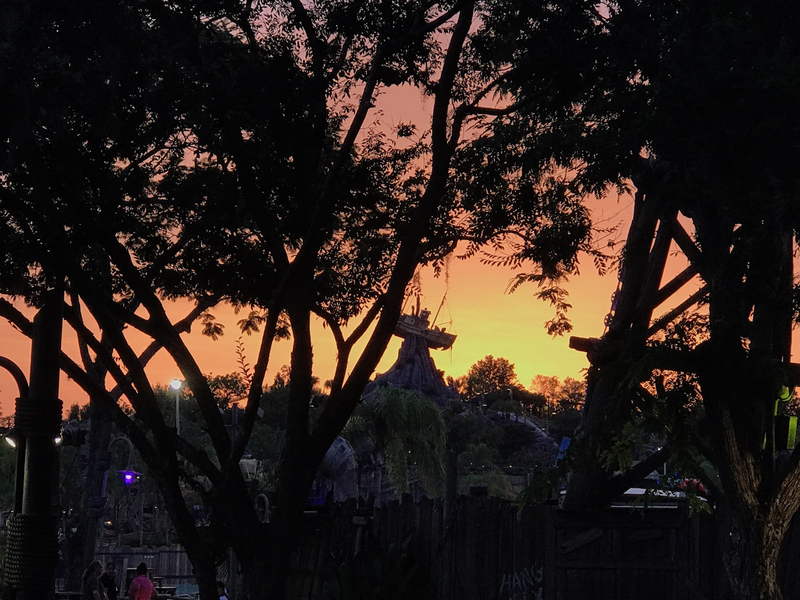 Because of this, hitting up a water park after dark is a perfect way to end your day! For pricing and everything else you need to know in order to take part in Typhoon Lagoon’s Disney H2O Glow Nights, click HERE.